Virginia Frances Ross, 96 of Abilene went to be with her Lord and Savior, and her many loved ones who have gone before her on August 5th, 2018. Virginia was born April 28, 1922 in San Antonio, TX to William and Mary Poteet Hearn. She married Scott Alexander in 1937 in Sonora, TX. They had three children and moved to Merkel in 1950. She later married R.D. Ely in 1955 and had one child. She began her career working in Mental Health Services at the Abilene State School in Abilene, TX in 1960. She retired after 21 years of service. Then, in 1984 she continued her career in the mental health services being the very first foster care provider for the adult consumers with MHMR services in Abilene. She retired in 2008 after twenty four years of service. 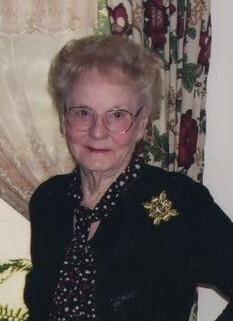 She loved being a caregiver and was very devoted and compassionate woman. She was the matriarch to her large family. Virginia was very active, she enjoyed dancing, painting, dominoes, socializing with her friends and serving others. Virginia was known to all her grandchildren as Nana. She loved each and every one of her children and grandchildren. She spent a lifetime spreading her love and care upon us all. Virginia was a strong, beautiful, and caring woman, who will be missed by many. Virginia is survived by her two daughters Barbara Alexander of Abilene, TX and Charlotte Alexander of Abilene, TX two Sons: Ronny Alexander and wife Michele of Abilene; and Roger Ely of Merkel. seventeen grandchildren; thirty great grandchildren; twenty two great great grandchildren; and one great great great grandchild. And one very special longtime friend John Collett of Abilene, Texas. Family visitation will be in North’s Memorial Chapel at 242 Orange St. Abilene, Texas on August 9th, from 5-7pm. Funeral services will be held in North’s Memorial Chapel at 10am on August 10th followed by burial at Rose Hill Cemetery in Merkel, Texas, under the direction of North’s Funeral Home. To send flowers to the family of Virginia Frances Ross, please visit our Heartfelt Sympathies Store.